Citrus Pectin, Cilantro Extract and Odorless Garlic Extract. Citrus Pectin is a plant fiber obtained from the rind and peel of citrus fruits such as lemons, grapefruits, oranges and tangerines. Structurally, pectin is classified as a water soluble, complex polysaccharide, rich in the sugar - galactose. strong supporter of healthy detoxification. Cilantro is a very common spice consisting of the the leaves of the Coriander plant. It's formal name is Coriandrum sativum and is sometimes called Chinese parsley because it bears a strong resemblance to and belongs to the same plant family as Italian flat leaf parsley. Garlic is one of the oldest known herbal plants, and it's been used through out history to help support good health. Sanskrit records reveal that such use dates back to India 5,000 years ago, while the Chinese have recognised garlic's support of good health for over 3,000 years. Even Louis Pasteur, who discovered penicillin, marveled at garlic's support of good health back in 1858. Cilantro and Garlic have been included in Pectin Plus® because they both support healthy detoxification and cardiovascular health as well. Pectin Plus® comes in a 100% vegetable capsule and is also 100% "wild crafted", which means that unlike any other detoxification support product in the market . . . Pectin Plus® is certified pesticide-free. In today's world, more than ever, we are exposed to a wide variety of toxins: They're in our air, food and water, in the workplace and at home. We even generate toxins within our own bodies. Our bodies are designed to be self-cleansing and self-healing. 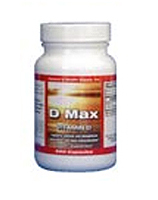 The internal detoxification process is an automatic daily procedure of the major detoxification organs. Toxins, however produce irritation and inflammation, adding to the burden of our digestive system. When our digestive system becomes overwhelmed, it is no longer able to adequately perform detoxification functions. This is a condition called "toxic overload". Exposure to toxins results in an increased production of free radicals which over time damage or age our body tissues. Long term "toxic overload" may result in metabolic and genetic alternations that can affect cell growth, behavior and immune response. This is because the molecular structures of toxins are carcinogenic as they interact with human DNA. The World Health Organization has implicated environmental toxic chemicals in over 60 to 80 per cent of all cancer cases. Scientists estimate that over 50 percent of U.S. residents have too much heavy metal in their bodies. These metals, which include lead, mercury, aluminum, cadmium and arsenic, are found in industrial byproducts as well as in tainted drinking water, pesticides and even things as common as dental fillings and cooking utensils. Once these chemicals are inside us, we can never fully eliminate them unless we undergo a detoxification process. As a result, most of us need some form of detoxification. In the past, detoxification has been administered to recovering alcoholics and drugs addicts, cancer patients and people with severe allergies. Nowadays it is adopted by healthy individuals to maintain their body systems in pristine condition. 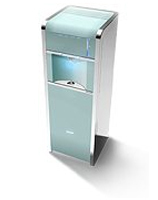 Detoxification is one of the best ways to remain healthy in a polluted and toxic environment. It can make a big difference in optimizing the bodily functions. and coupled with a healthy diet, is an essential anti-aging tool. The standard western medical approach for removing heavy metals from the body is chelation therapy. This procedure, performed with harsh chelators introduced intravenously, can cause multiple side effects, while potentially robbing the body of some of its essential nutrients. Citrus Pectin's support of healthy detoxification, as a gentle chelator has been studied extensively. Cilantro has long been thought to decrease heavy metals levels in the body and increase their levels in the urine. One of the first researchers to study cilantro was Dr. Yoshiaki Omura, who quite by accident discovered that it helpes support healthy detoxification. The sulfhydryl (sulfur and hydrogen) compounds in garlic are thought to be potent chelators of toxic heavy metals, binding with them so that they can be excreted. Garlic also aids in the detoxification of peroxides such as hydrogen peroxide, and supports the liver from the toxicity of carbon tetrachloride. In addition, garlic extract promotes increases in the glutathione level and glutathione related enzymes, which help support detoxification of the body. Research has also suggested that garlic extract supports the body's response to heavy metal poisoning. When garlic extract was combined with red blood cells exposed to heavy metals, it supported their health. When no garlic extract was added to the blood samples, these heavy metals ruptured the red blood cells. The idea of using pectin to support healthy cholesterol levels is not new. Several studies published in the 1990s (the Journal of Nutrition and the American Journal of Clinical Nutrition) have examined the effect pectin has on cholesterol levels. The results were very impressive. 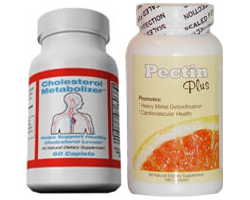 It is well documented (in both animal and human studies) that pectin binds to cholesterol, enabling the cholesterol to be excreted from the body. The effect that Citrus Pectin has on the way cholesterol forms plaque (the sticky substance which adheres to blood vessel walls, clogging and restricting blood flow) has also been studied, with very impressive results as well. The findings, released in the Journal of Agricultural and Food Chemistry, a peer-reviewed publication of the American Chemical Society, show that compounds found in citrus pectin, called polymethoxylated flavones (PMFs) are supportive of healthy cholesterol. The researcher said. No negative side effects were seen in the animals that were fed the compounds. More research is needed to explore the compound's mechanism of action on cholesterol metabolism. 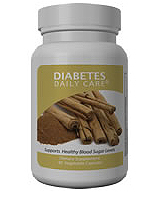 It is thought to work by inhibiting the synthesis of cholesterol and triglycerides inside the liver. A long-term human study of the effect of PMFs on high LDL cholesterol is now in progress. As discussed above, cilantro helps support healthy detoxification. In this capacity, cilantro may also help support cardiovascular health as well. Patients with cardiovascular disease, who have used cilantro to detoxify, report feeling much better, more alive, and can exercise longer without angina pains and shortness of breath. It is theorized that if you get rid of the heavy metals in your body, then you've helped support the removal of the source of millions of free radicals, which may be supportive of cardiovascular health as well. Through its extensive use as an herbal supplement, garlic's properties have been well documented over the years. Modern science too has shown that garlic has some very impressive properties as well. The body does not appear to build up resistance to garlic, so its properties which support cardiovascular health may continue over time. Studies have also shown that garlic significantly thins the blood by inhibiting abnormal platelet aggregation, neutralizes dietary mutagens and protects neurons from "free radical" aging damage, boosts immune function, inhibits oxidation of LDL and VLDL cholesterol, and supports healthy blood pressure. The nutrition committee of the American Heart Association now publicly acknowledges garlic's potential in helping to support cardiovascular health. When cloves are chewed, crushed or cut, they release a sulphur-bearing compound called allicin - the chemical that gives garlic its pungent taste and smell. And it's the allicin that scientists believe is responsible for garlic's good health support. There is actually no allicin in an intact clove of fresh garlic: Allicin forms when the plant cells within the garlic clove are damaged, such as through crushing or cooking. Garlic's ability to manufacture allicin serves to defend the plant against insects, bacteria, viruses, fungal organisms, and other invaders. The chemistry of allicin is complex and unstable- Soon after allicin is formed, the compound breaks down into a host of other compounds. The array of helpful, natural elements differs according to whether the garlic is heated, dried, aged, or eaten fresh. When buying garlic supplements, check the label for the amount of allicin released. Use this information to compare different supplements. Other figures such as "equivalent to x cloves" are not really important. Be aware that some garlic suppliments list the amount of alliin they contain. That one letter difference is important! Alliin is a precursor compound to allicin, however conversion rate between alliin and allicin is extremely variable. On its own an alliin figure is of little value. Conventional cancer treatment involves surgery to remove primary tumors, followed by chemotherapy, radiation, or a combination of treatments designed to eradicate all remaining traces of cancer. This follow-up therapy is critical for addressing the biggest threat from cancer - the formation of secondary cancers, or metastases. Metastases are not new or different cancers, but rather new cancer colonies started from primary cancer cells that have migrated to new sites. Sites where metastases commonly occur include the bones, lungs, prostate, kidney, liver, thyroid and brain. Left unchecked, metastases can quickly overwhelm the body's defenses. In fact, it is metastases, not primary tumors that are responsible for most cancer deaths. Scientists used to think cancer cells were individual actors, and that even a single cell escaping from the main tumor would likely start a new colony elsewhere in the body. But now we know that cancer growth is more of a "group activity". Just as a platoon of soldiers is more powerful than a single rifleman, cancer cells are more dangerous when they assemble and clump together. To do this, they must communicate with and bind to one another. That cell-to-cell interaction is made possible by special protein molecules called galectins that sit on the outer surfaces of the cancer cells. After a cancer cell has broken free from its primary tumor (or is accidentally dislodged during surgery) it floats freely through the blood and lymph systems until it eventually becomes trapped in a small blood vessel (microcapillary). Firmly lodged in the microcapillary, galectins on the surface of the cancer cell start to bind to galactose receptors on endothelial cells (the cells that form the inside lining of blood vessels). After securely attaching to the endothelium, the cancer cells penetrate through and invade the blood vessel walls. The final step in establishing a new tumor colony is the release of chemical signals that trigger new blood vessel growth (angiogenesis). The new blood vessels will supply the cancer cells with the nutrients they need to grow and thrive. It is thought that the powerful attraction between galectins and galactose relates to how Citrus Pectin may help promote healthy cell growth. Galectins and galactoses work much like a car's key and ignition. Only the correct key will fit into the ignition and activate the engine. Other keys may "fit", but they will not "fit" quite right - they will only jam the ignition and prevent it from working. Galactose rich Citrus Pectin has a strong binding affinity for galectins and being the "wrong key" has the ability to jam up the "molecular ignition", preventing the right key from getting in. Of all diseases, Citrus Pectin has been studied most extensively for prostate cancer, one of the most common cancers in men. A study published in the Journal of Agriculture and Food Chemistry looked at the possible effect of citrus pectin on prostate cancer. The research suggests that a component in citrus pectin may help support healthy cell growth. The study is the result of collaborative research among scientists at the Texas A&M-Kingsville Citrus Center at Weslaco, the University of Texas-Pan American at Edinburg and Texas A&M's Institute of Biosciences and Technology (IBT) at the Texas Medical Center in Houston. Dr. Bhimu Patil, a physiologist at the Citrus Center who isolated pectin from four citrus varieties, said the study is preliminary but justifies further investigations in pre-clinical animal models, then possibly in humans. The data from a phase II clinical trial using Citrus Pectin for biochemical recurrence of prostate cancer was just published in the journal "The Prostate". The preliminary clinical data was presented and from a clinical perspective the results are very encouraging. The wide variety of organic sulfides and polysulfides conntained in garlic have been the subject of many studies investigating the realtionship between garlic and cancer. The conclusions of these studies have certainly merited additional research on this important subject. It is thought that garlic enhances immune function by stimulating lymphocytes and macrophages to destroy abnormal cells. 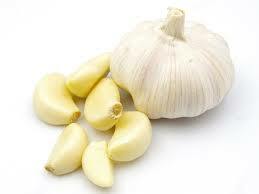 Additionally, garlic inhibits the formation of both nitrosamines (potent carcinogens) and DNA adducts. Various studies have shown that garlic can slow the development of bladder, skin, stomach, and colon cancers. In the United States, the Iowa Women's Health Study--an ongoing Iowa State University diet and health study of nearly 35,000 women aged 55 to 69--found that people who eat garlic at least once a week have a significantly lower risk of colon cancer. Recent studies have also shown that garlic destroys H. pylori, the bacteria believed to cause some stomach ulcers and a suspected culprit in stomach cancer. Population studies in China and Italy found that the incidence of stomach cancer is lower in people who eat lots of garlic. In that healthy detoxification is thought to be supportive of healthy cell growth, cilantro being such a good supporter of healthy detoxification, may also be important in promoting healthy cell growth. Many of our customers have asked why Pectin Plus® is not "certified organic"? is to ingest a product, which may introduce toxic pesticides into your body. We have heard this feedback and quite frankly we agree, which is why we have upgraded Pectin Plus® . . .
and can now assure you that Pectin Plus® is 100% pesticide-free. As we researched the feasibility of upgrading the ingredients of Pectin Plus® from "conventionally grown" to "certified organic", we found that there were not ANY sources for the "certified organic" raw materials we required. We were however, able to find some providers which did have "ethically wild crafted" sources for the raw materials we required. Certainly, since our main objective in upgrading Pectin Plus® was to make it a pesticide-free product . . .
the decision to use "ethically wild crafted" raw materials was a "no brainer". It does beg the question . . . What exactly is the difference between "certified organic" and "ethically wild crafted"? In order to make the label claim of "certified organic", a product must adhere to the strict regulations set forth by the United States Department of Agriculture (USDA). These standards guarantee consumers that none of the ingredients used in the products have been genetically modified, sprayed with pesticides, contaminated by sewage sludge, or harvested with synthetic fertilizer. Products that are labeled "ethically wild crafted" on the other hand, consist of ingredients that have been harvested and gathered in their natural setting. In addition, the methods used to ensure sustainability reassure consumers that the crops that are used in their products are not in danger of extinction. The differences between "certified organic" and "ethically wild crafted" are not always clear. Both "certified organic" and "wild crafted" ingredients are free from pesticides. Both are picked with the sustainability of the crop as a top priority and both are harvested with the conservation of the surrounding areas in mind. We hope that you will appreciate the new and improved Pectin Plus® which we can proudly say is pesticide-free. There is NO other detoxification product in the market (that we know of) which can honestly provide the same level of assurance! Pectin Plus® is not only a very effective detoxifyer but is also very safe . 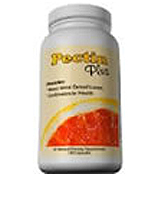 . . We believe Pectin Plus® is quite simply THE BEST HEALTHY DETOXIFICATION SUPPORT PRODUCT out there! 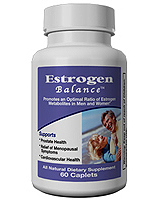 Take three capsules in the morning and three in the evening. Citrus pectin is a complex polysaccharide (long-chain carbohydrate) obtained from the peel and pulp of citrus fruits such as lemons, grapefruits, oranges and tangerines. This long chain of sugars has numerous branches with important binding capabilities that are related to pectin's unique health supporting attributes. Galactose, a natural sugar found on the branches of the pectin molecule, has an affinity for galectin-3 proteins on the cancer cell surface. This naturally occurring sugar is felt to play a role in the ability of Citrus Pectin to promote healthy cell growth. Each day numerous cells in the body become cancerous. 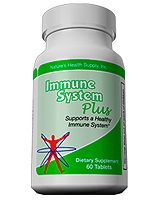 It is our immune system that we have to thank for detecting and destroying these cells. Still, for certain individuals, the immune system fails and a clinically relevant cancer occurs. One known suppressor of the immune system is toxic or heavy metals. Citrus Pectin helps support a healthy immune response by helping to support healthy detooxification. A joint study by the US Department of Agriculture and KGK Synergize, a Canadian nutraceutical company, identified a class of compounds isolated from the peels of grapefruit and concentrated in citrus pectin that shows promise in animal studies as a supporter of healthy cholesterol. The findings, released in the Journal of Agricultural and Food Chemistry, a peer-reviewed publication of the American Chemical Society, the world's largest scientific society, show that the compounds, called polymethoxylated flavones (PMFs) have been increasingly linked to healthy cholesterol. The study is believed to be the first to show that PMFs can support healthy cholesterol, the researchers say. "Our study has shown that PMFs have the most potent supporting effect of any other citrus flavonoid," said Dr Elzbieta Kurowska, lead investigator of the study and vice president of research at KGK Synergize in Ontario, Canada. "We believe that PMFs have the potential to rival and even beat the supporting effects of some prescription drugs, without the risk of side effects." PMFs are found in a variety of citrus fruits. The most common citrus PMFs, tangeretin and nobiletin, are found in the peels of tangerines and oranges. They are also found in smaller amounts in the juices of these fruits. Using hamster models with diet-induced high cholesterol, the researchers showed that feeding them food containing 1 per cent PMFs supported healthy cholesterol. 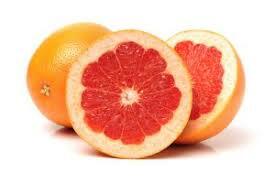 Previous animal studies by others have shown that similar flavonoids, particularly hesperidin from oranges and naringin from grapefruit, also may have the ability to support healthy cholesterol, although not as effectively as PMFs, according to Kurowska. Supplementing with PMFs did not appear to have any effect on levels of HDL cholesterol, or good cholesterol, the researcher said. No negative side effects were seen in the animals that were fed the compounds, she added. The researchers are currently exploring the compound's mechanism of action on cholesterol metabolism. 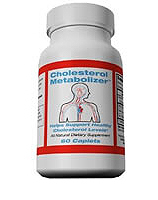 They now suspect, based on early results in cell and animal studies, that it works by inhibiting the synthesis of cholesterol and triglycerides inside the liver. A study published in the Journal of Agriculture and Food Chemistry looked at the possible effect of citrus pectin on prostate cancer. The research suggests that a component in citrus pectin may help support healthy cell growth. The study is the result of collaborative research among scientists at the Texas A&M-Kingsville Citrus Center at Weslaco, the University of Texas-Pan American at Edinburg and Texas A&M's Institute of Biosciences and Technology (IBT) at the Texas Medical Center in Houston.While this study is focused mainly on prostate cancer, scientists are also investigating the effect pectin may have on other types of cancer. Dr. Bhimu Patil, a physiologist at the Citrus Center, who isolated pectin from four citrus varieties, said the study is preliminary but justifies further investigations in pre-clinical animal models, then possibly in humans. A Texas A&M-Kingsville graduate student, Yan Liu, who worked under Dr. Patil and recently completed her master's degree, conducted a major part of this study, Patil said. "This is the first study that identifies a specific molecular target by which citrus pectin may impact abnormal cell growth," Patil said. The study shows that a component derived from pectin can effect the mis-communication that occurs between cells of the prostate, that can lead to abnormal cell growth. "There's cross-talk among cells of the prostate, that keeps the prostate healthy," said Dr. Wallace McKeehan, a cell biologist at IBT. "During abnormal cell growth, the signals get garbled and the cells don't understand each other. You end up with rogue cells that are not behaving properly, because they are not getting the right signals. They begin signaling and stimulating themselves and grow too much. "We've plugged the elements of citrus pectin into the signal mechanisms, that have gone haywire and shown that pectin can potentially effect that system and set it back to normal," he said. The Phase II clinical trial investigating the effects of Citrus Pectin in recurrent prostate cancer has been completed and was published in Prostate Cancer and Prostatic Diseases. A longer, more controlled study was undertaken in men where standard treatment (radical prostatectomy, radiation, or cyrosurgery) was initially successful (PSA = 0) but then subsequently PSA began to rise. This type of cancer recurrence typically represents a more aggressive form of cancer. The study results are remarkable. 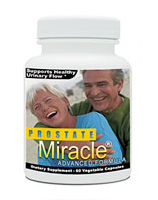 While Citrus Pectin alone isn't a cure for prostate cancer, it is an important adjunct to standard treatment or a valuable nutrient for men in "watchful waiting". It also has many other health benefits which may contribute to a person's quality of life while they meet health challenges such as cancer. While the mechanism of action of this important nutrient involves the Citrus Pectin polysaccharide chain interacting with galectin molecules on the surface of cancer cells, new research supports a broader range of action in maintaining optimal health. This year a pilot trial demonstrated that Citrus Pectin supports the urinary excretion of toxic metals and additional research with pectin suggests that Citrus Pectin may have a systemic effect on the immune system, which will help assist immune cells in supporting healthy cell growth. The data from a phase II clinical trial using Citrus Pectin for biochemical recurrence of prostate cancer was just published in the journal "The Prostate". The manuscript validated a new statistical method of evaluating the effectiveness of any nutritional supplement or drug. While the statistical method was satisfactorily peer reviewed, the methods and results of the clinical trial were not scrutinized. However, all the preliminary clinical data was presented and from a clinical perspective the results are very encouraging. Aside from helping to support healthy detoxification, which in itself indirectly helps support a healthy immune response, components of citrus pectin may directly help support a healthy immune response. Maintaining an appropriately balanced immune system is important and research suggests that citrus pectin may help support such a healthy immune response. Most of the modern research on garlic has concentrated on its effect on cholesterol and blood pressure. Scientists have also looked at the effect garlic may have on the formation of blood clots and the impact such an effect may have on stroke. The key to garlic's health benefits is allicin. This pungent and powerful phytochemical (a plant compound that has protective health benefits) is also responsible for garlic's telltale odor. So, what is it about garlic that helps support good health? The chemistry of allicin is complex and unstable- Soon after allicin is formed, the compound breaks down into a host of other compounds. Producing garlic supplements that will release significant quantities of allicin is not easy. This might explain their price. Be aware that some garlic suppliments list the amount of alliin they contain. That one letter difference is important! Alliin is a precursor compound to allicin however conversion rate between alliin and allicin is extremely variable. On its own an alliin figure is of little value. Pectin Plus® uses odorless garlic that has been standardized to provide 10% Allicin Potential. Cilantro (the leaves of the Coriander plant) has value for supporting healthy detoxification that rivals its value as a spice. It's formal name is Coriandrum sativum and is sometimes called Chinese parsley because it bears a strong resemblance to and belongs to the same plant family as Italian flat leaf parsley. Working together, U.S. and Mexican researchers isolated a component in cilamtro which is called dodecenal. 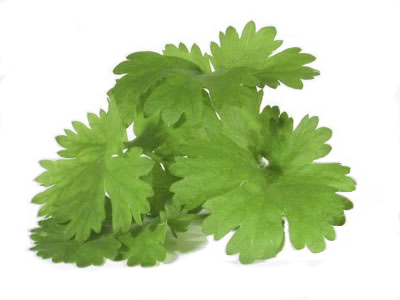 In addition to dodecenal, eight other important compounds were isolated from fresh coriander. Researchers are investigating whether dodecenal might be developed as a tasteless food additive to prevent foodborne illness. Cilantro has a long history as a digestive aid. In Egypt, it has been found in pharaohs' tombs, presumably to prevent indigestion in the afterlife. While no one has been able to attest to its post-mortem healing properties, recent studies have supported its use as a stomach soother for both adults and colicky babies. According to James A. Duke, Ph.D., a botanist retire from the U.S. Department of Agriculture and author of The CRC Handbook of Medicinal Herbs, "Cilantro has been shown to settle the stomach, improving tummy troubles of all kinds, from indigestion to flatulence to diarrhea." Cilantro was first discovered by the ancient Romans, who used it to preserve meats. The herb contains an antioxidant that helps prevent animal fats from turning rancid. It also contains substances that kill meat-spoiling bacteria and fungi. Intriguing new studies are investigating if Cilantro has anti-inflammatory effects. Research has shown that mercury toxins can impair immune system function and thereby cause chronic viral, bacterial & fungal illnesses. Both allopathic & holistic practitioners have observed that patients diagnosed with these illnesses, often have dramatic recoveries following an aggressive mercury detoxification/amalgam replacement program. Cilantro is thought to help support healthy detoxification because it may act as a reducing agent changing the charge on the intracellular mercury to a neutral state, allowing mercury to diffuse down it's concentration gradient into connective tissue. This is called connective tissue mercury toxicity. Binding agents such as Pectin, garlic or cilantro quite easily bind to this "free mercury" leading to it's excretion from the body.